Perfect for an eco-conscious, simple Chrsitmas. 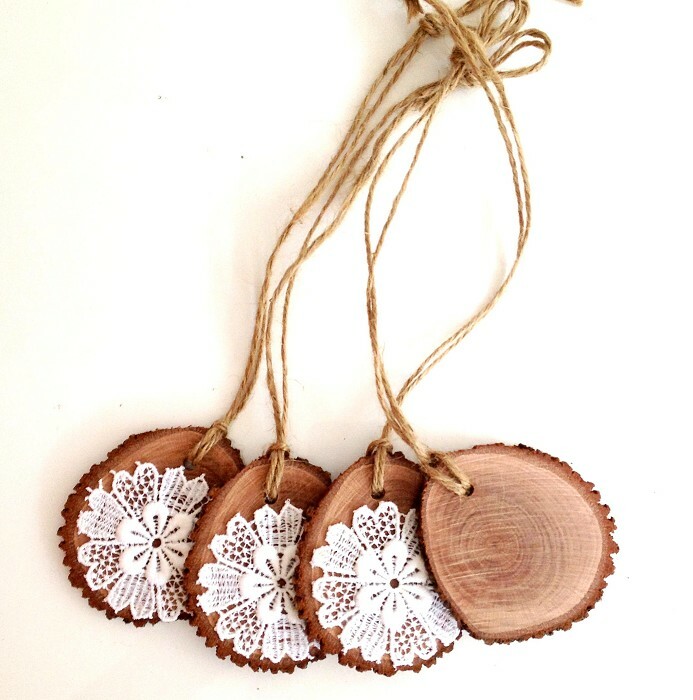 Beautiful set of four timber Christmas ornaments. Handcut and dried. 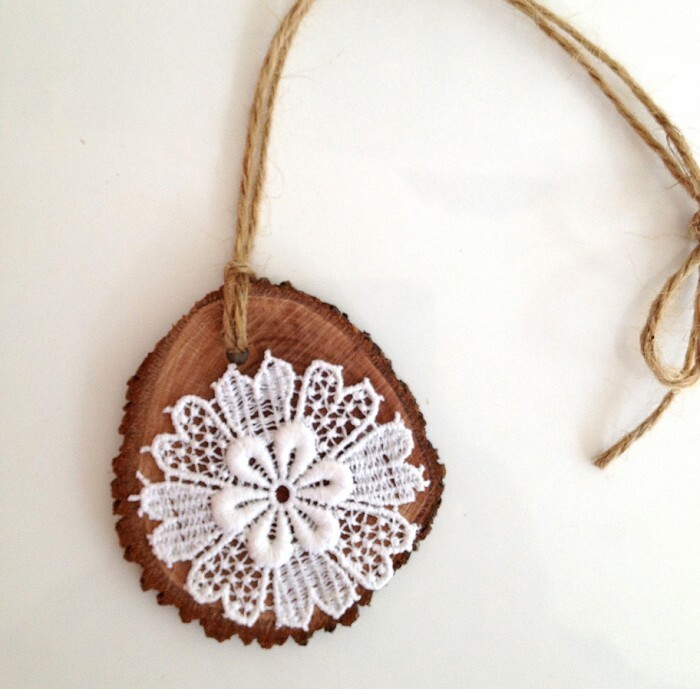 Each of the approximately 6 x 7 cm ornaments has a 'snowflake' from a piece of genuine, vintage (1950's) lace on one side. The otehr side can be left blank, or written on as a gift card. Each hangs from natural jute twine. 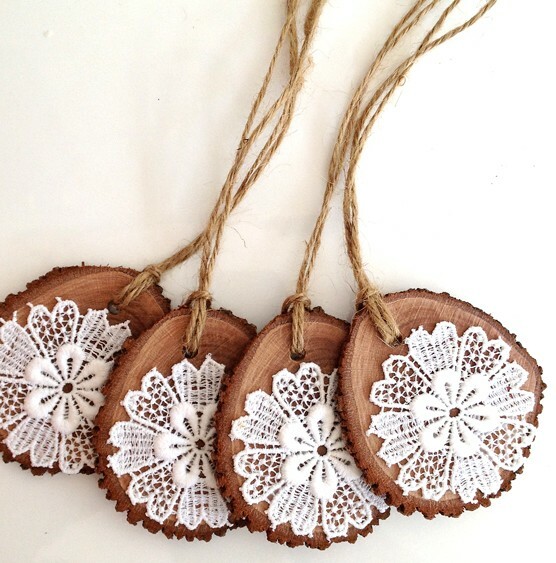 Can be hung from a tree, a mantle, used as place cards for Christmas lunch, used as gift tags or even Christmas cards. Each is obviously slightly different.